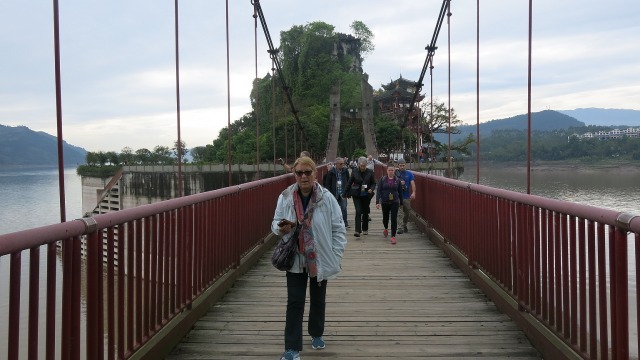 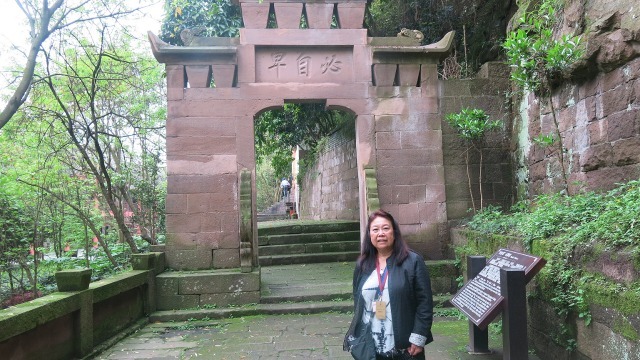 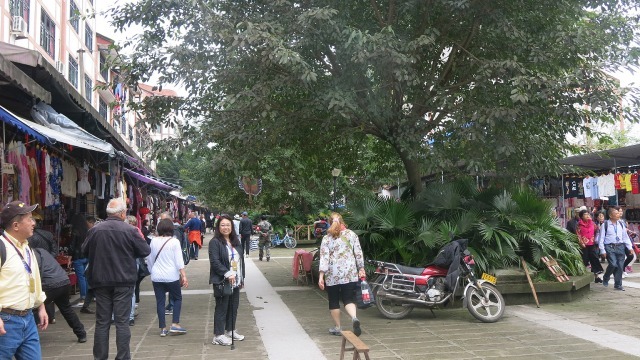 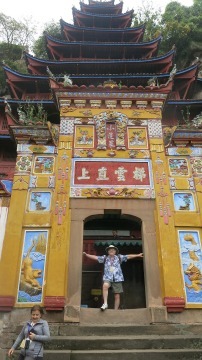 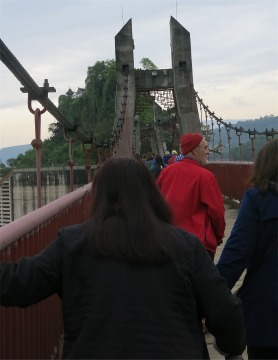 We passed through a series of arches to the Drunken Bridge which crosses over to the island on which the Red Pagoda sits. 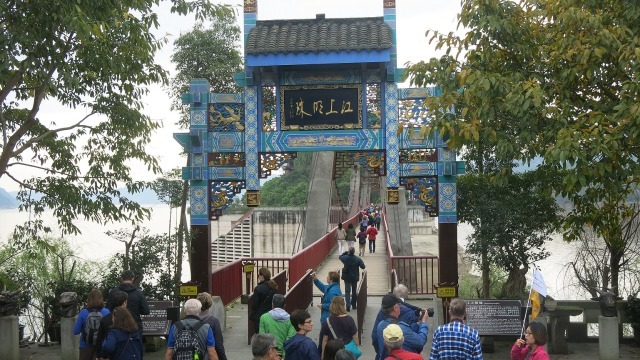 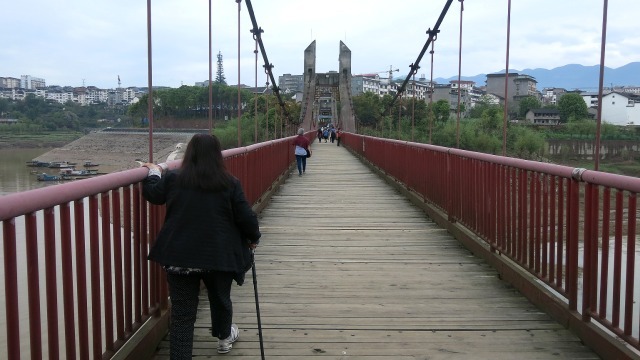 The bridge dipped and swayed as we walked across, hence the name. 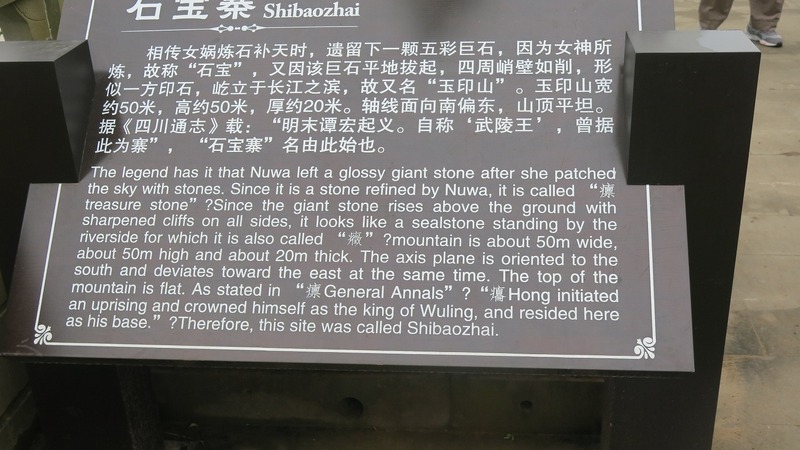 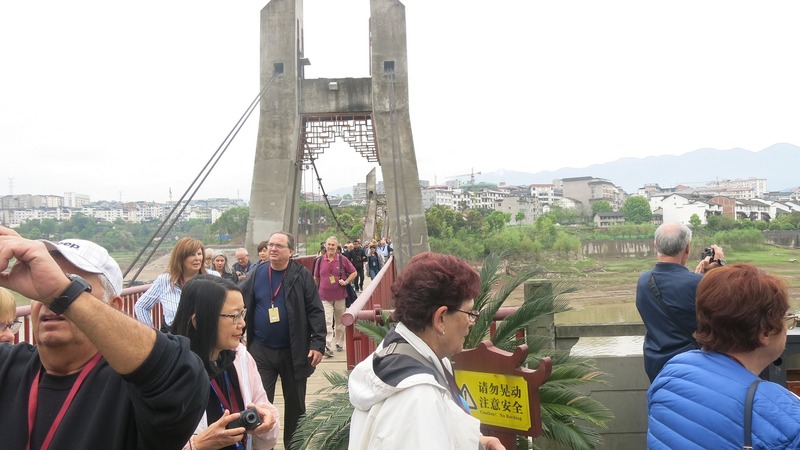 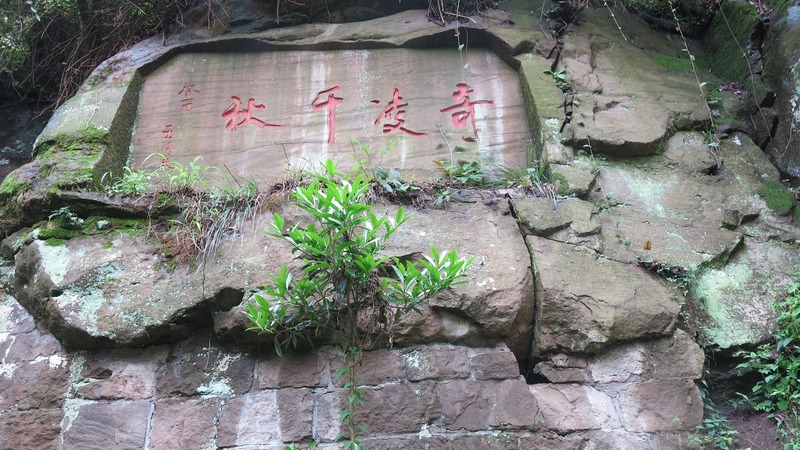 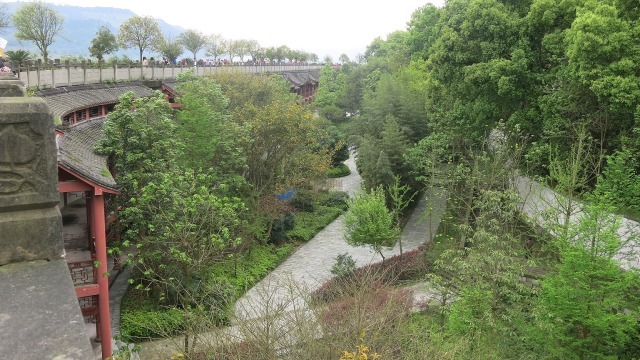 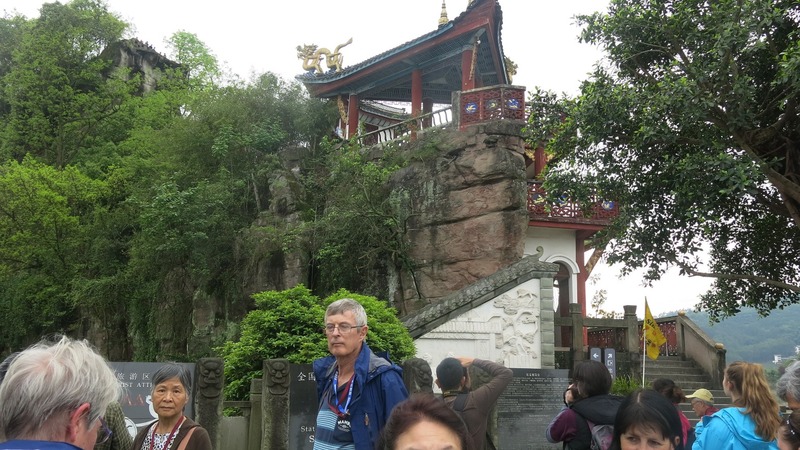 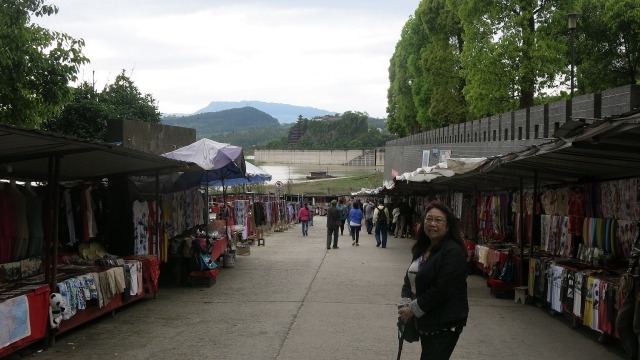 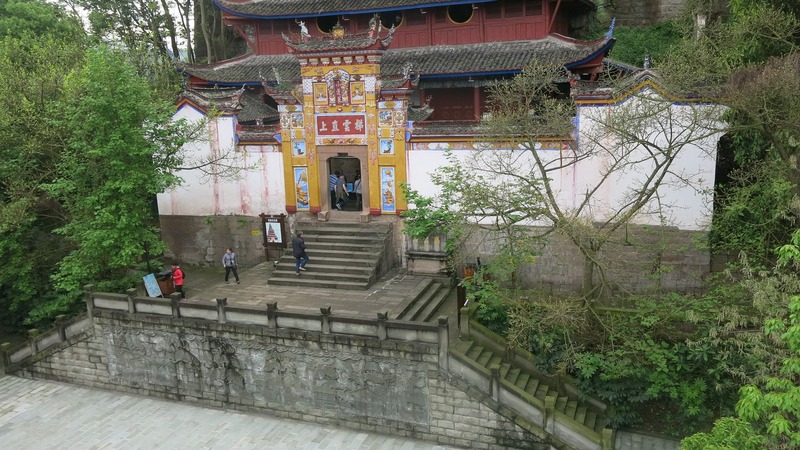 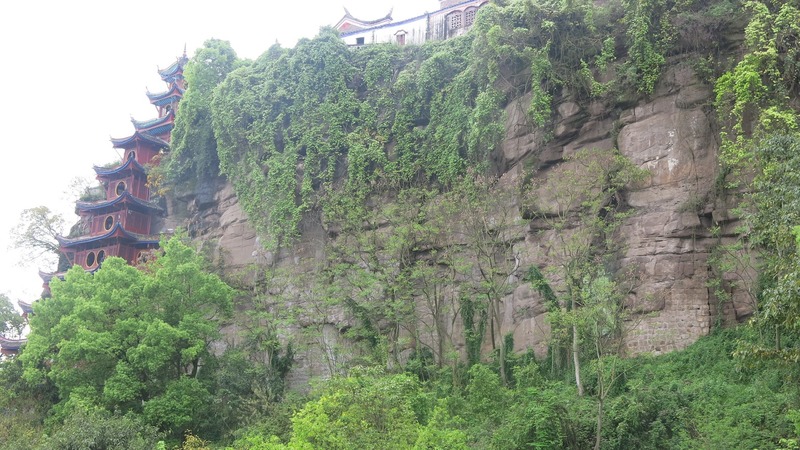 The rocky hill on which the pagoda and temple complex is built is over 50m high, and due to the raising water levels (as a result of the Three Gorges Dam Project) is surrounded by a dam to protect the base and entrance to the temple which are now below the current river level. 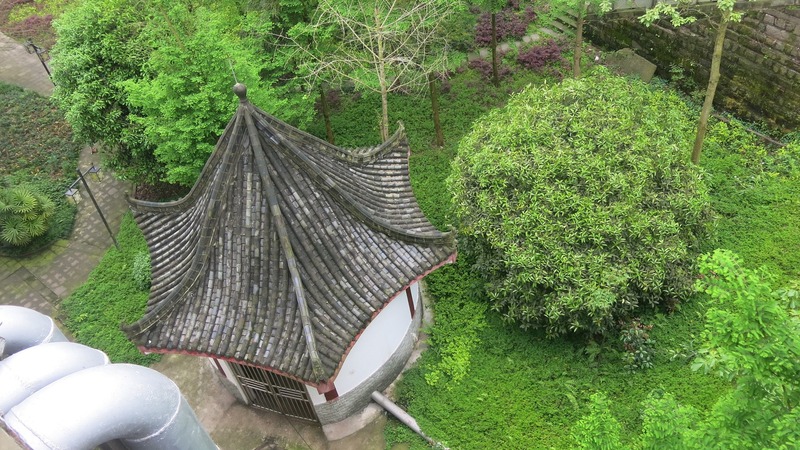 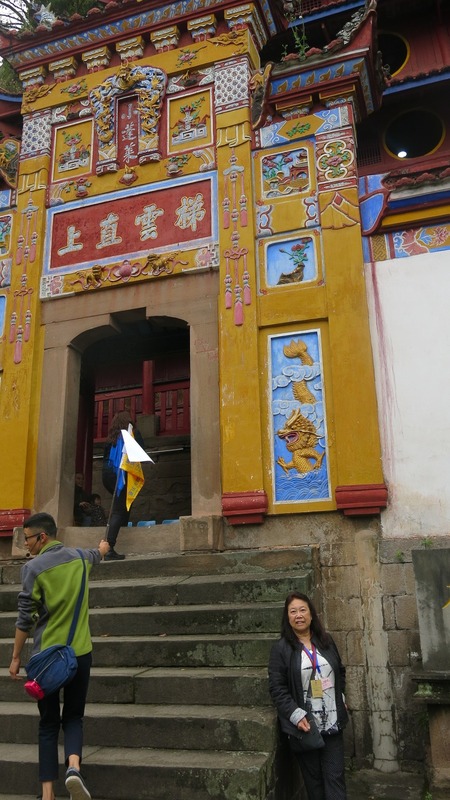 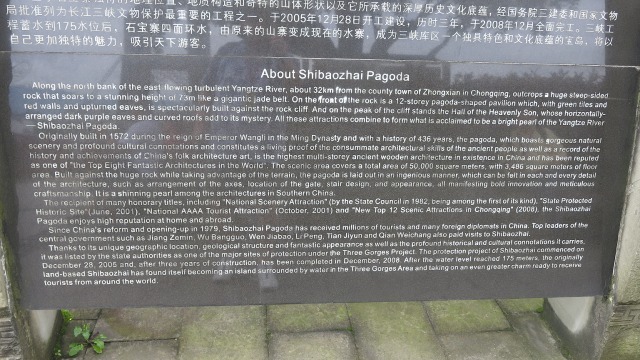 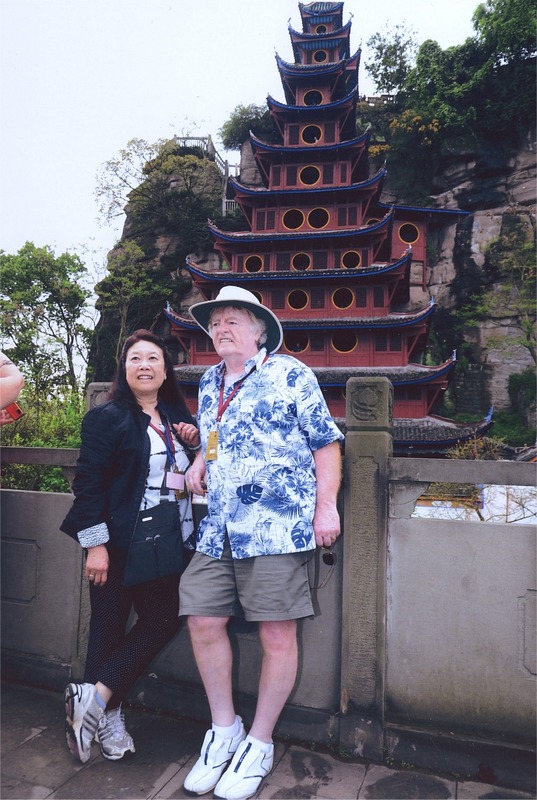 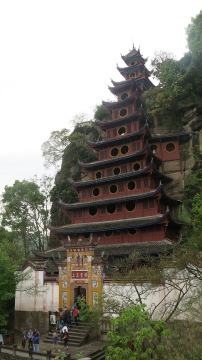 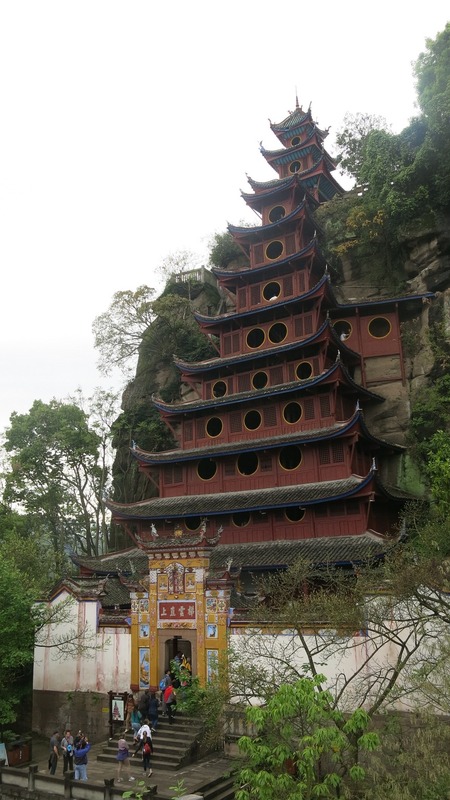 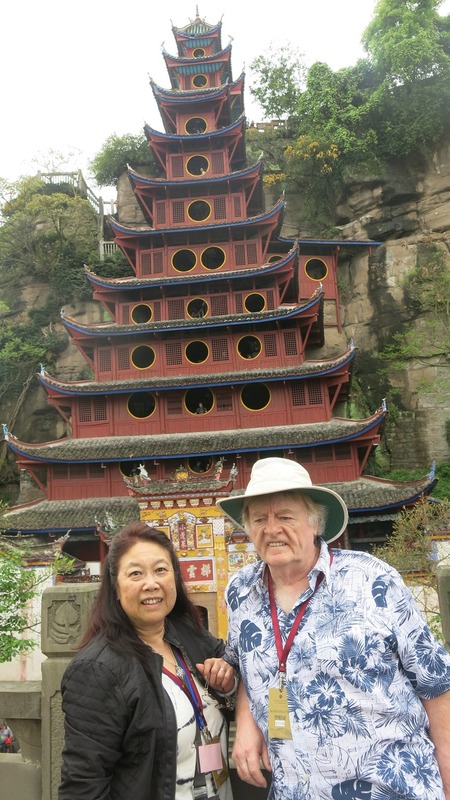 The Shibaozhai Pagoda is a 12-tier wooden pavilion and is built into the side of the mountain/hill. 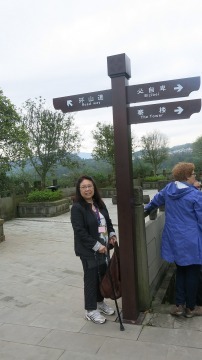 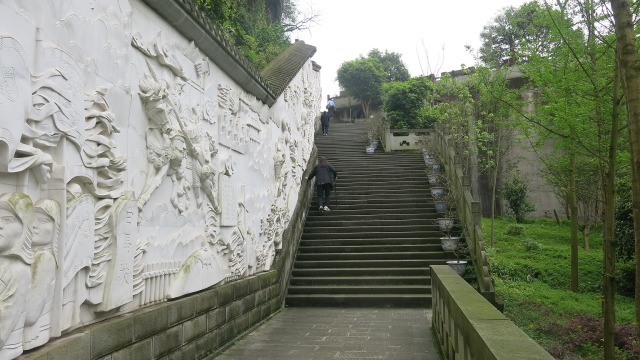 There are a total of 120 steps to the top. 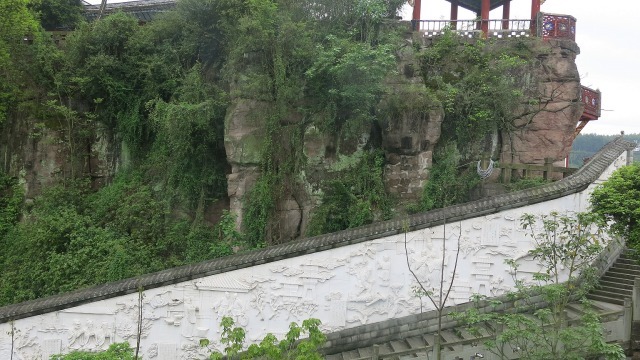 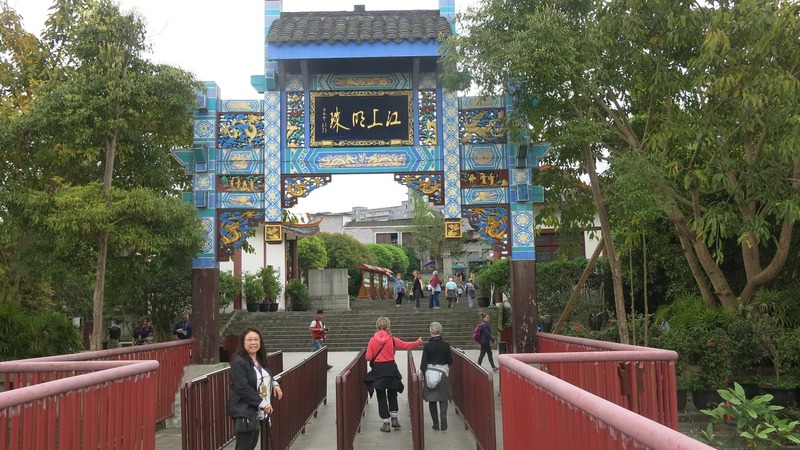 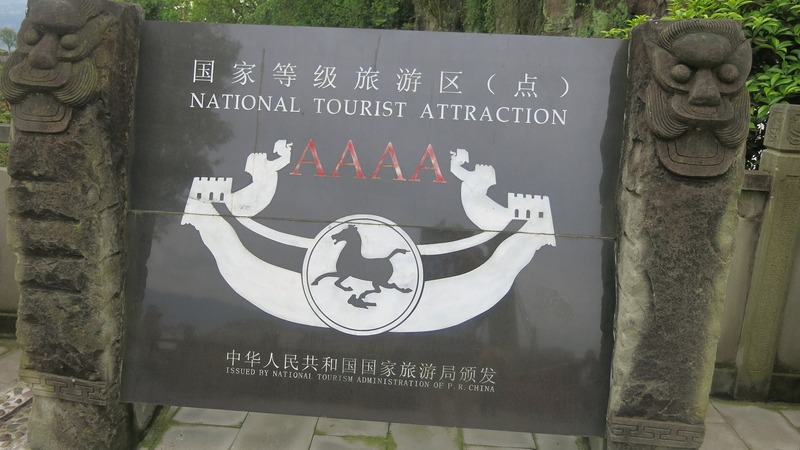 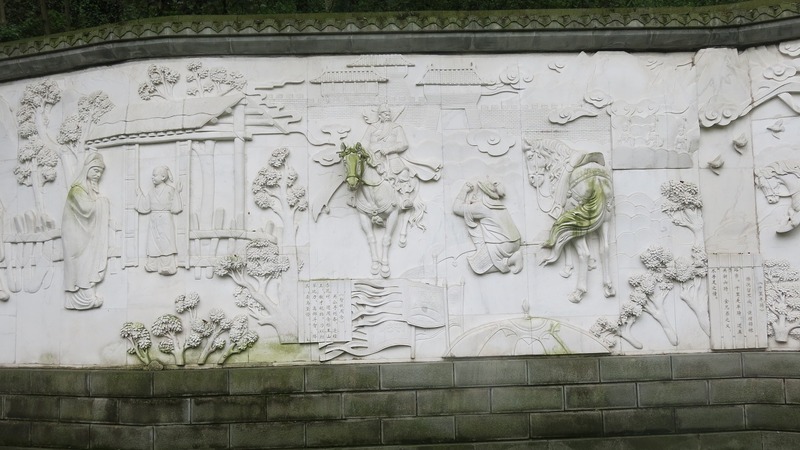 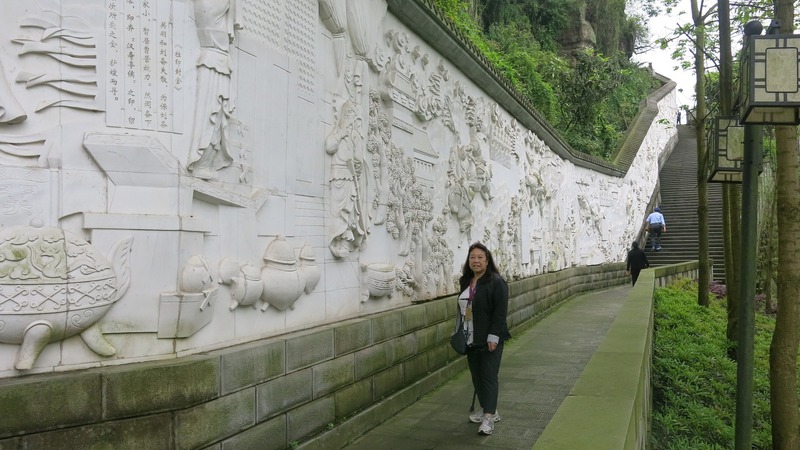 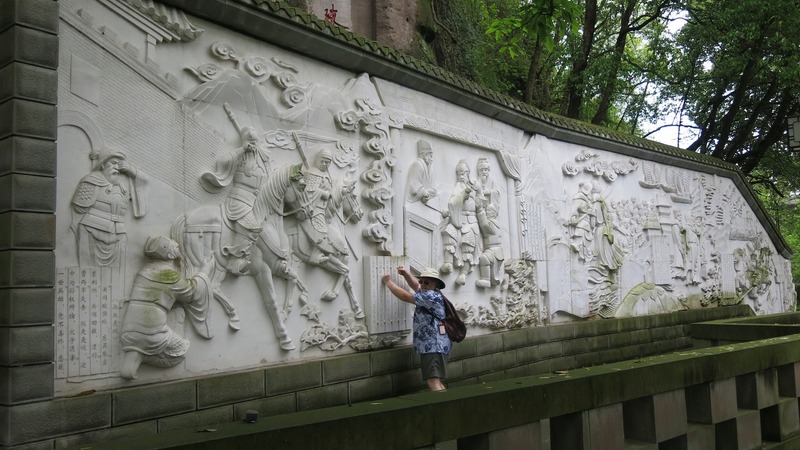 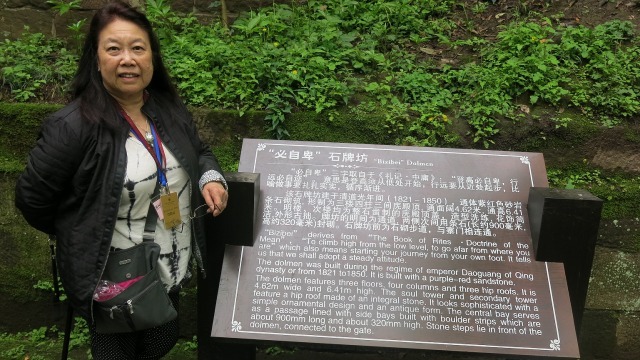 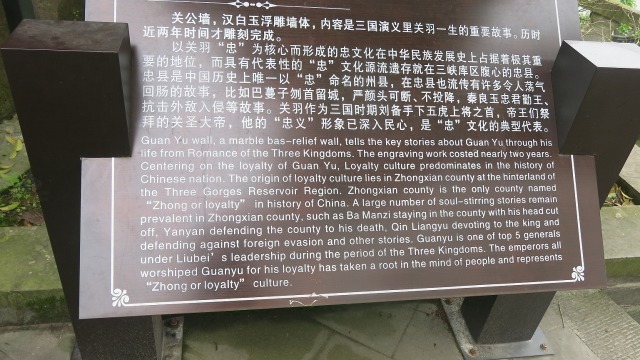 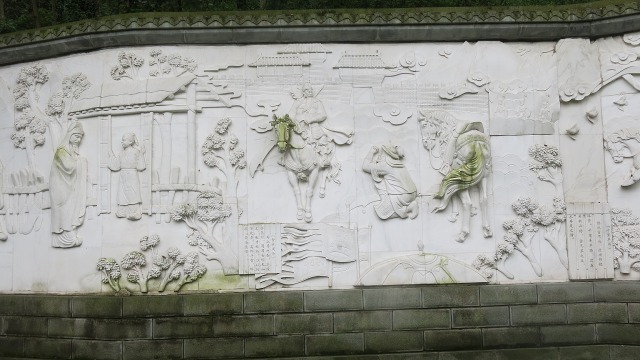 Each of the twelve stories is dedicated to a famous general of the Three Kingdoms Period, a famous poet or a local scholar.The base has many beautiful designs including long relief murals carved in marble. 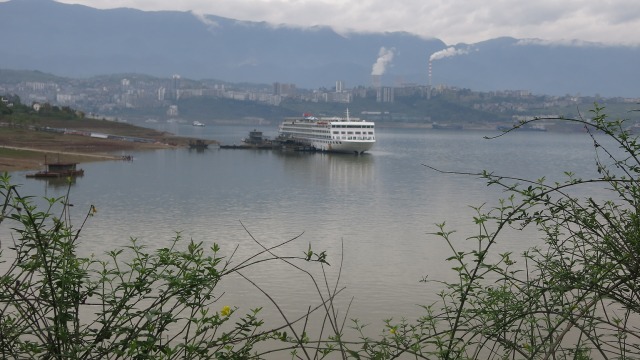 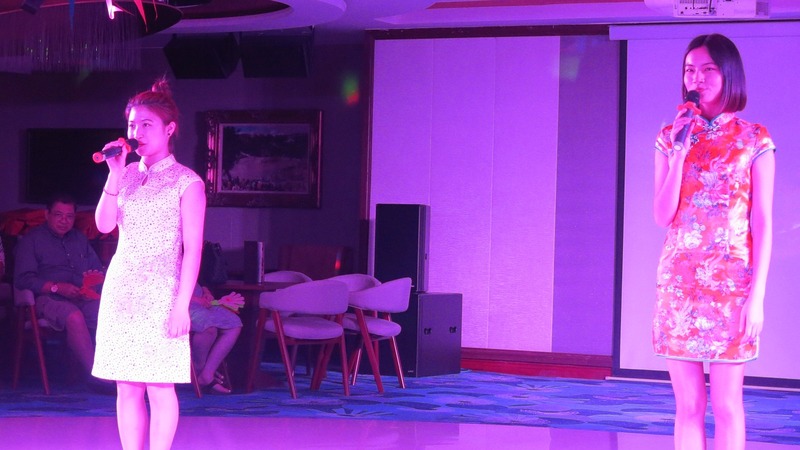 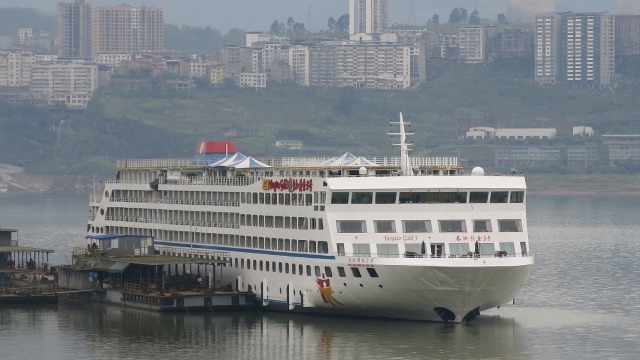 Our docked Yangtze Gold 3 Cruise Ship with city in the background. Two of the views from the pagoda.